Chuse Fernandez coordinates the TEA FM Radio School and responsible for the implementation of pilot initiatives for the Center for Contemporary Culture in Barcelona, ​​Zaragoza Association White ZentrumClip Ibercaja and the tangent space of Burgos, among others, having participated in events like Zeppelin, Sonoscop, Sonoke, the International Biennial of Radio in Mexico City or Future Places Festival in Porto. In addition to the Podcast Seminar for training and launching the news channel\'s podcast Communications Office of the Government of Aragón directs and teaches courses in Creativity and Radio Production at the Center for Advanced Technology and the University of Zaragoza People in the same city. Develop collaborative work with the Degree of Journalism at the University of Zaragoza, Aragon and other academic institutions related to the media. He teaches online training in the area of ​​Radio Audiovisual Training Center CPA Salduie of Zaragoza, where he teaches courses from radio creative, production and radio and podcasting implementation, being responsible for the on-line Graduate Radio. Maintains contacts and exchange experiences with other radio workshops and universities and the Latin American Laboratory for Radio Art of Buenos Aires and LEAR Radio Universidad La Plata, Argentina and maintains regular contact with people involved in the radio art and sound art as Jose Manuel Berenguer (Director of the Orchestra of Chaos under the Centre for Contemporary Culture of Barcelona), Luis Alvaz (experienced sound artist) or G Rezza (known designer and producer of independent radio sounds). Permanently collaborates with the network of international experimental stations and radio through experimental programs broadcast on over 25 stations in the network around the world, participating in the IEAAP (International Email Audio Art Project) International Competition of Sound Experimentation. Today, in addition to their teaching for the Center for Advanced Technologies INAEM in Zaragoza, Zaragoza University and the People\'s Salduie CPA, develop creative research related to the radio medium, producing a thesis on the progress of interactivity in the mass media and particularly in radio, working on a new concept called Radio Radio 3.0. It is also dedicated to the training of working groups for the creation and maintenance of radio resources in rural areas, with projects like the one for the recovery of the municipal radio station of Tarazona and workshops for children through Aragonese Association of High Skills, Acting audiovisual NGO, the Association of Journalists of Aragon and the School of Film Un Chien Andalou. Directs radio drama team from the School of TEA FM Radio, with whom he has made to date more than thirty works of fiction and radio drama sound, among which include the adaptation of this format of the book \"No news from Gurb\" Eduardo Mendoza and \"yellow rain\" by Julio Llamazares. He has done for the International Film Festival and Environment EcoZine Zaragoza, a sound studio in the 1st short film. Competition Workshop \"Recycled Planet Films\". Sound Tours by Zaragoza and Sound Ambiences for TEA FM. This activity involves recording the aural environment on the city ​​tours in the form of sound that make up the environment every citizen. They discover how pollution sound and noise are mixed with natural sounds of the environment in which we operate. The soundscape has an environmental dimension and social, and cultural and psychological, which is a important communicative and aesthetic heritage linked to the quality of life. 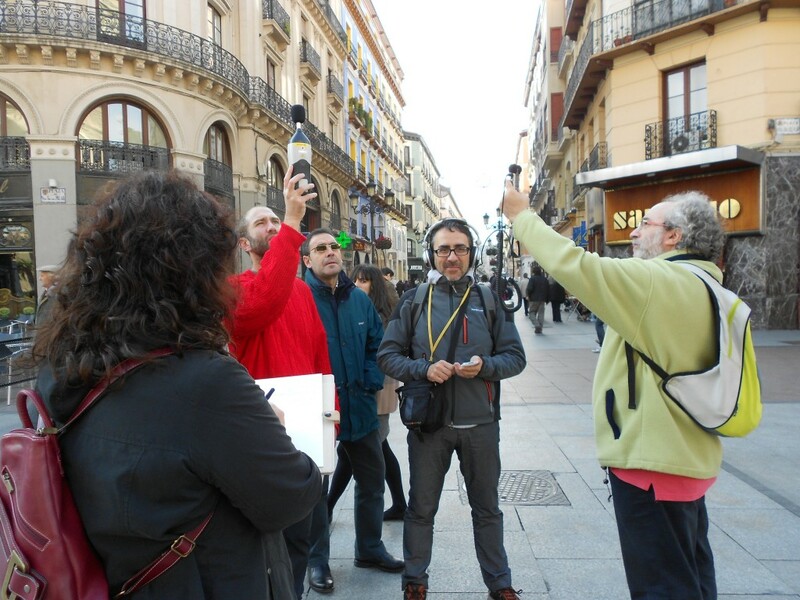 Following the example of experiences in other parts of the world the sound of Zaragoza Tours aim to show people a different aspect of the city, discover and feel the otherwise everyday, being more aware of changes that the human presence and activity occurring in the environment sound of a city.